Come in, hang up your coat, and find out why Geoff Sobelle's theatre-piece HOME is a place you'll want to visit this August. Actor, magician, and absurdist theatre-maker, Geoff Sobelle is known for injecting wonder into the everyday. Through a combination of dance, illusion, live music, and audience interaction, he holds the ordinary up for inspection and gives it a new poetic quality. Last time he was in Edinburgh, he brought The Object Lesson to the Edinburgh Festival Fringe, a meditative piece on how we make ourselves our own museums by hoarding memorable objects. He cleaned up with this production, winning several prestigious accolades, including the Fringe First Award, the Carol Tambor Award, and the New York Times’ Critics Pick. Geoff Sobelle gives an up-close tour of some of the objects and ideas in his Fringe First Award-winning production, The Object Lesson. Sobelle is about to carry out a DIY home renovation of epic proportions – he’s going to build a whole house within a few minutes. 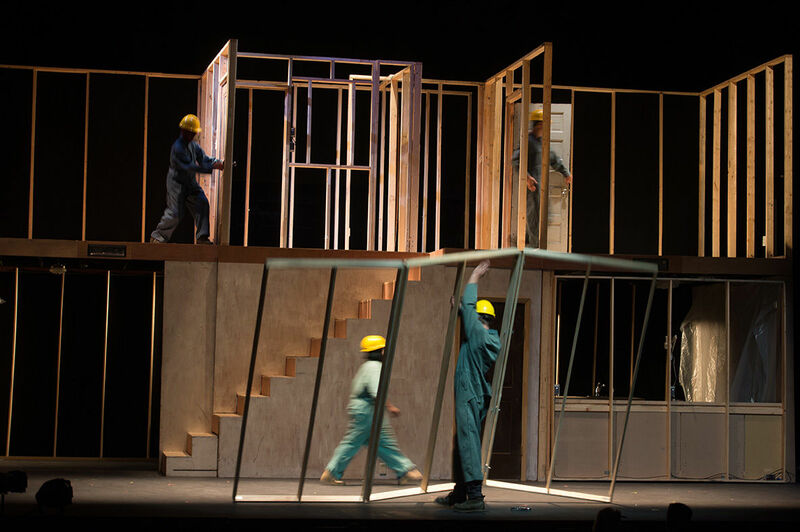 A suburban home is constructed onstage before your very eyes, complete with family portraits, endless piles of laundry, and a door with a faulty hinge. And it all happens as if by magic. The building site is co-opted into a dreamlike sequence that makes it seem more like the house materialises from nothing, even though you’re pretty sure you just watched it get put together. Whether you’re renting a flat or just bought a new house, you’ll know that uncanny feeling of finding some mark left by a previous resident and being reminded that your house is not yours alone. 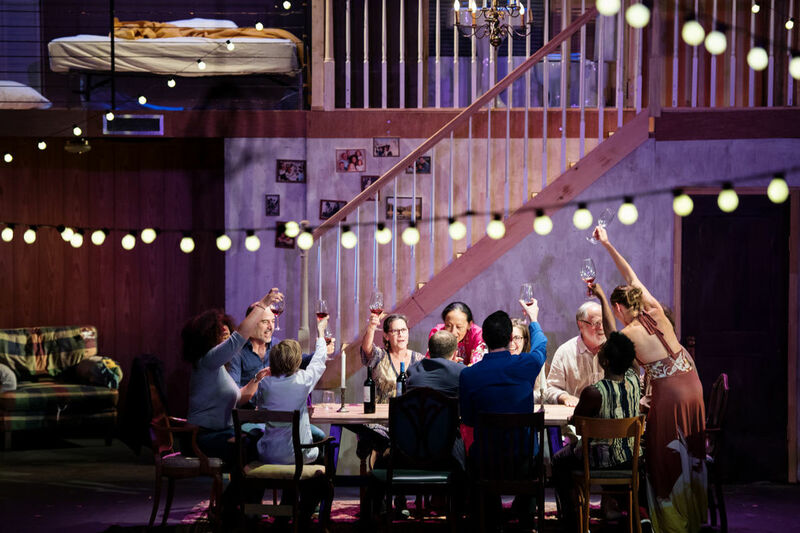 Sobelle's production explodes our notions of home by asking what it takes to belong somewhere, who gets to have a home, and what happens to it when we move on. When he first conceived the show, he imagined watching a house falling apart on stage. “And then I thought maybe it’s more interesting,” he says, “considering where we are in our national conversation, to think about building a house, building a community, building a party”. Sobelle has built the house, and now you get to step inside. HOME has seven cast members, but by the end of the show there will be many more guests onstage. This is a cosy immersive performance that asks you to join the housewarming, raise a glass, and become one of the generations of residents wandering through the rooms all at the same time. HOME collapses boundaries around time, space, the wall between audience and actor – all co-exist in one house simultaneously. “The main goal is that you enter the house of the theatre, and you leave it feeling like you’re home,” says Sobelle. HOME is part of the International Festival this summer, performed in King's Theatre on 22-26 August.